Maintenance and repair are an undeniable part of home ownership. Keeping your home in top shape is financially responsible too. But it’s not the way most folks want to spend their weekends. Atkins General Construction lets you maximize the enjoyment of your time at home by taking care of all those nagging projects on your to-do list. We have the right tools and the right expertise to do all kinds of jobs large and small. From changing hard to reach bulbs to remodeling your bathroom, we’ll take care of it so you don’t have to. 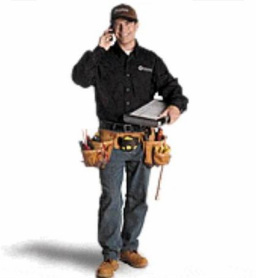 Our home technicians are experts in a broad range of repair and installation services. Whether it’s a leaky faucet, a broken window, or installing new floors, we have the tools and expertise to get the job done! NEW! Introducing Atkins General Construction's Simple Solutions bathroom packages. Drawing from years of experience with bathroom remodels, we’ve handpicked the best combinations of products and materials to create a line of pre-designed bathroom packages that help make the remodeling process faster, easier, and more cost effective. Please contact us (540-845-2501) to learn more.